Mutual funds have become very popular nowadays. There are various campaigns going on air for promotions. No doubt it is the best investment avenue for the beginners. But do we blindly follow others and jump into the mutual funds? There are some untold mutual funds facts which no one will tell you. Let’s deep dive into the product and check ourselves whether it is the best investment option or not? You must have heard or read the above standard disclaimer about the mutual funds. But we never try to understand the methodology of how mutual funds work. We think its a risk free investment, we invest in it via SIP or lump sum and that’s it! we are done. We will gain returns on our investments. Investing in mutual funds via SIP is the best and appropriate way for the beginner. It is the best option for the people who cannot track the market on a day to day basis, people who have their full-time jobs and the people who don’t have any knowledge about the stock market. But still, they want to invest in the stock market for high returns. There is a flip side of the coin as well. Which we need to understand first. Only a few handfuls of people understand the product thoroughly, rest is just following the trend blindly. The mutual fund invests money into the stock market so there is a definite risk associated with the mutual fund. 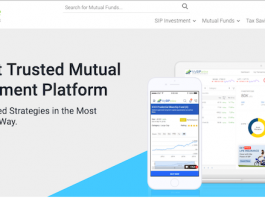 There are thousands of schemes of mutual funds so picking the right one is also a mammoth task against the limited numbers of stocks. There are segments like large cap, mid cap, small cap, debt funds, liquid funds, diversified funds and so on. For a first time investor or a layman, it is very much difficult to choose the best scheme out of the heap of schemes. The trouble doesn’t end here. You will then have to check the fund manager who is managing your funds. Then check your funds are invested into which sector. How many of you check the fund on that which stocks fund is invested into? And then we crip that our schemes are not giving good returns. Sometimes we just go and invest by the brand name of the mutual fund company. This happened to all the people who are investing in mutual funds for the first time. This has happened to me as well. Why we make such mistakes? Because we don’t have the knowledge about the stocks and how they work. So what should you do before investing into mutual fund schemes? We generally pick the schemes which have a good past track records, like 3 years, 5 years 10 years etc. But the past performance is no guarantee of the future performance. It is a hard fact. Please accept it. It is not that the fund will continue to perform well in the future as well. It is just a track record, not a guarantee. Take the example of great cricketer Sachin Tendulkar. He had hit the century in the past 2 matches that doesn’t mean that he will surely hit the century in the coming match as well. Sometimes it happens that you enter into the fund when the fund manager is not performing well. Then you will say that my funds are not giving me good returns. So back of the mind you have to be clear that mutual funds also carries risk.  Another point you should know is that mutual fund company has its own limitations. As you know that mutual fund companies (AMC) are investing your money into stock market. The stock market can move either upside or downside. Mutual fund companies cannot short sell even if the market is moving downside. Short selling is not allowed in India its a regulatory guideline by the SEBI. So under this situation, a mutual fund company can only buy in the market. They cannot short sell. As more and more people are becoming aware of mutual funds, they started investing into more and more. Current flow in the mutual fund industry is the highest in its history. Where does this money come from? People like you and me are investing in mutual funds as we have heard that it can give good returns and can beat the inflation. Mutual fund companies have to allocate the money which they have compiled from the people like you and me. The Mutual fund companies cannot sit on the cash. This is another guideline laid by the SEBI that every fund has to allocate the money to stocks as per the scheme documents. For example, I am a fund manager of the mutual fund and I think right now market valuation is high so I don’t want to buy anything at this movement but I have to buy forcefully. I have no choice as I am receiving money from the investors which I have to deploy in the market. There is an upper limit on how much cash I can retain with me as a fund manager. This limit varies from fund to fund. It usually ranges from 5% to 7% of the AUM( Asset Under Management). So the person who is managing your money doesn’t have a power or choice to take his own decisions. The fund manager is riding a car without a break! The fund manager can only allocate your fund, it is you who have to take a decision on your investment. The fund manager will not return you your money until you ask for it. The fund manager cannot short sell. He cannot sit on cash. So the lesson we should learn from this is – Entry and Exit in the mutual fund should be your choice and decision – Not your advisor or fund manager. I want to share my own experience here. In the month of January 2018, when the market was at peak of 36k. I have withdrawn some funds from my mutual fund schemes on my own. I didn’t receive any phone call from my financial advisor or my fund manager who asked me to withdraw the funds as the market is now at the peak. I have again withdrawn some more funds in the month of March due to LTCG tax benefit. Within five minutes I got a call from my advisor that why have you withdraw your funds in the bear market? I was laughing and told him that, you didn’t give me an exit call when the market is at peak then why now you are asking me that why I have withdrawn? It is because he has his vested interest in my withdrawing the fund. He will now not get any commission on the amount that I have withdrawn. Its natural, it’s his business. Nothing wrong in that. It’s me, who has to understand that it’s my money and I have to take a decision on my own at the right time. In the year 2007 when the market was crashed, the same thing happened. earnings of 5 years have been flushed in a single year due to the market crash. To avoid such a situation where you may lose all your profits, you have to track your funds regularly on your own. You have to make decisions like exiting the fund, switching the fund to low-risk scheme etc. I am not saying that mutual fund is not good for investment. The point here is you don’t have an excuse that you have given your money to mutual funds and now they will take care of everything. These are some of the hard facts about mutual funds which nobody will tell you at the time of your purchase decision. 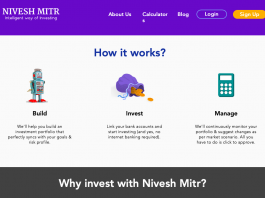 Imagine if your financial advisor tells you that you are investing into mutual funds at your own risk and you have to track it, exit it, switch it time to time, will you invest into mutual funds? The answer is NO. In every sell pitch, some of the facts are not told be it a mutual fund or any other product because it impacts your purchase decision. Retail investors are investing in the stock market via mutual funds as they have no knowledge or very little knowledge. They have a faith in the mutual fund companies and fund managers. On the other side, the fund manager has his own limitations as he cannot sit on cash. So he has to deploy the money he is receiving from the retail investors in spite of the high market valuation. He cannot take his own decisions and we retail investors are betting high on him. One side you know there is a risk in mutual fund and on another side you want it to go upward only. How’s this possible? Check below points while investing into mutual funds. Choose your schemes wisely – Don’t just follow the trend or copy someone. Take the exit decision on your own. – Nobody will phone you to give an exit call. Check where your fund manager is investing your fund. Always remember, there is a risk in the market. – The market will never go in only one direction. Again I clarify that I am not against the mutual fund investment, but I want you to understand your responsibility as an investor. Please note all the highlighted lines in this article which will help you to make an informed decision about investing in mutual funds. After all, it’s your money at stake. Disclosure: I have heavily invested in different mutual funds for many years. I am not against the mutual funds, but you need to know these facts before jumping in into this investment avenue. Previous articleWhy you should not invest in Unit Linked Insurance Plan (ULIP)? Next articleWhat is Cyber Insurance?